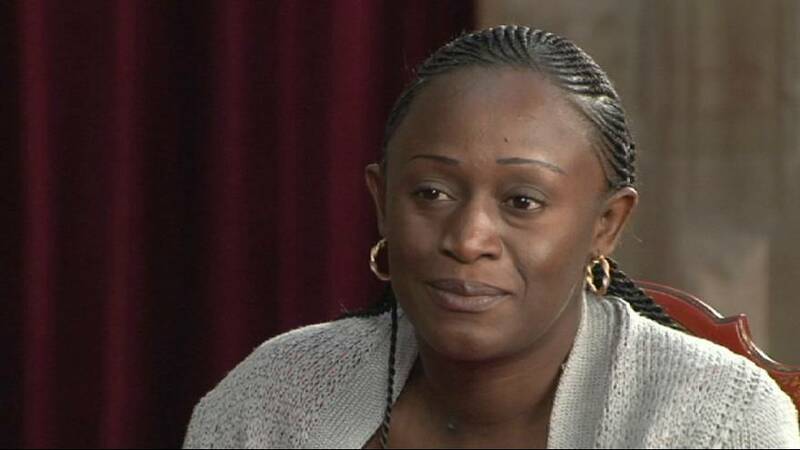 “A symbol of the peaceful fight against sexual violence, poverty and discrimination,” is how the jury of the Asturias Awards described Caddy Adzuba in awarding her its Concord Prize, the Spanish royal foundation’s equivalent of the Nobel Peace Prize. Adzuba is a journalist and rights campaigner whose crusade against sexual violence in the Democratic Republic of Congo has won worldwide acclaim. She spoke to our correspondent Leire Otaegi about her work and experiences in an exclusive interview. Caddy Adzuba: “I couldn’t finish the interview. The first time was in 2000. I met a woman in the field and I was very eager to learn what had happened, to learn what this woman had endured. I handed the microphone to the woman and she looked me straight in the eyes. She didn’t want to talk. I pushed her, saying it’s very important. She looked at me and said: ‘Are you sure you want to hear? You think you can take it?’ I said, ‘of course’. Adzuba: “First of all she needs time. And time doesn’t just mean one day, two days, not a month, not two months, not five months, and, unfortunately, it is not two years. Unfortunately, it means many years, five years, six years, or even ten years. They are physically destroyed, torn, traumatised, tortured. “She must be healed. That’s the first thing; physical healing. After that, she must be de-traumatised, with psycho-trauma counselling sessions. “And after that, if it goes well, she’ll have group therapy, other therapies in social life, for her socio-economic reintegration. After that you have to work on those around her, to accept her back into the society from which she’d been banished, from which she’d been chased. Adzuba: “Everyone, everyone. Peace is a universal question. Peace is the first issue of the leaders who are directly linked to the people and who are obliged to protect the people. I’m thinking of the Congolese government. “The responsibility also lies with Congolese civil society to continue to support this government so it can do its job better. It’s also the responsibility of the region, the entire Great Lakes region, all the DRC’s neighbours also are responsible in one way or another to what’s happened in the DRC. “It’s also the responsibility of the African continent, the African states, the African Union which has to know its own responsibilities and solve its own problems. “The responsibility goes beyond borders, across oceans to what we call the international community. The Congolese conflict was more an economic conflict. There have been several reports that have cited and criticised multinationals that have been involved directly or indirectly in the financing of armed groups purely for their own economic interests.